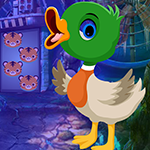 G4K Cute Pterodactyl Rescue Game is another point and click room escape game Developed by games4king. Welcome back, escapers! Story of this game, Neanderthals live in a beautiful desert. There he lives very relieved.There was a strange bird in that desert. The bird was very intimidating to see. But that strange bird is very quiet.The strange bird has been placed in a cage where tribal people live there. It is better to save that strange pterodactyl in the forest. 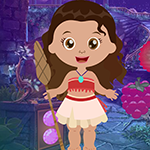 Find all the clues there to save that pterodactyl . Thank you for the blessing to find and save the pterodactyl bird.